Boys Varsity Lacrosse improved their season record to 5-0 with a 14-7 victory on the road over Plymouth. 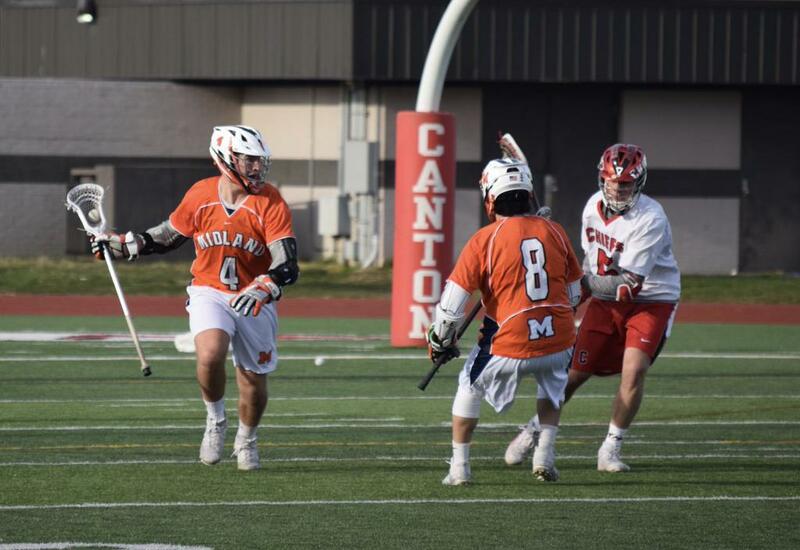 Midland was led in scoring by Chase Mahabir (3G, 2A), Elliot Moore (3G, 1A), Ryan Stadelmaier (3G, 1A), and Ryan Sisitki (3G). Ethan Smith and Finn Moore each added a goal, and Ethan Richard had an assist. Richard also led the team in ground balls with 9, and Sisitki had 8. Jack Erickson made 11 saves in goal, and Joey Cullinane won 13 faceoffs. Midland’s next game is on Monday when they host Saginaw Heritage.